As beautiful as the Caribbean is above water, an even more breathtaking and diverse landscape exists just below the surface, where an ecosystem of reefs boasts some of the best scuba diving and snorkeling on the planet. 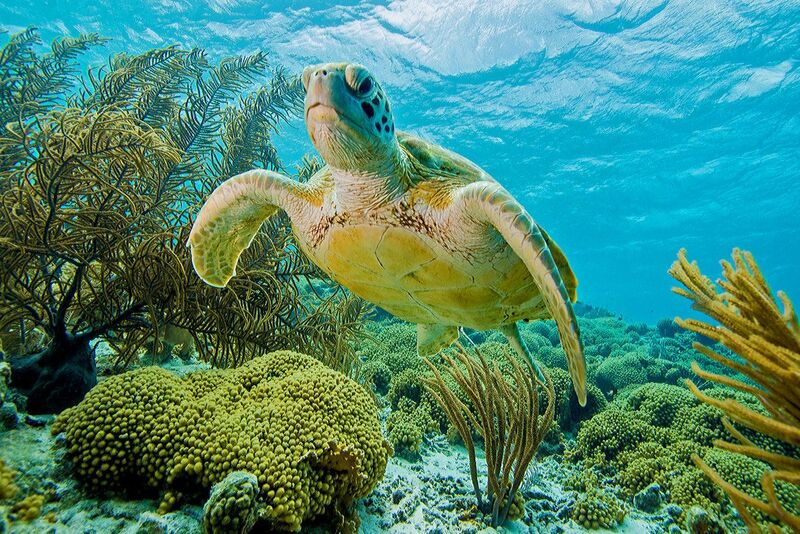 The Caribbean accounts for around 7 percent of the world’s shallow coral reefs, home to dozens of types of coral and as many as 700 species of reef fish. Beyond being home to diverse sea life, the reefs also shelter island shorelines from the threat of devastating hurricanes. By acting as a natural barrier to buffer the effects of waves and erosion, reefs are essential to coastal communities. And with 70 percent of Caribbean populations living along coastlines, reef health is critical in this region. 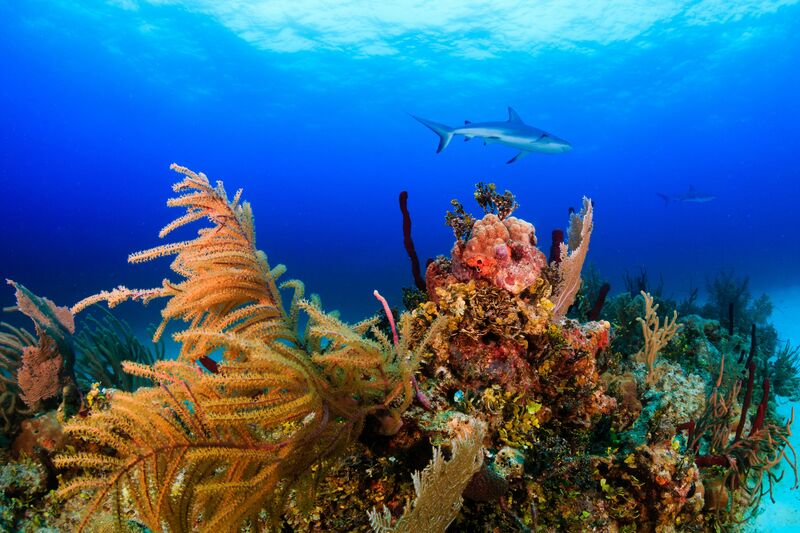 But the Caribbean reefs are part of an ecosystem that could be in danger of extinction. The coverage of coral reefs in the Caribbean region has declined by more than 50 percent over the past 30 years. From ocean acidification to global warming, threats to the Caribbean region’s coral reefs are rife. That’s why we are exploring the promising initiatives that are working to preserve and protect these delicate underwater ecosystems. The Florida-based nonprofit ocean research center Mote Marine Laboratory recently partnered with an international nature conservancy to facilitate coral restoration from the Florida Keys south throughout the Caribbean. Launched in September 2016, the 15-year project aims to restore more than one million corals throughout the Caribbean, an unprecedented initiative that would have a hugely positive impact on rebuilding the depleted reef ecosystems throughout this region. By developing innovative methods to grow staghorn, brain, boulder and star coral fragments at accelerated rates, Mote Marine Laboratory has already planted more than 20,000 fragments along Florida’s reefs― and next they’ll head to the Caribbean. The project also plans to establish a coral gene bank, which would preserve different strains of coral tissue and allow researchers to determine which strains are most robust and resilient to environmental threats. The Mote Marine Laboratory partnership will create a much needed bridge between world-class scientific research and a platform to share that knowledge with coastal communities. Three phases of the partnership will lead to measurable results. In the first year, researchers will focus on identifying coral strains resilient to increasing water temperatures, ocean acidification and disease. By 2020, the partnership will establish a coral gene bank of threatened Caribbean and Florida coral species, serving as insurance against climate change and near-term catastrophic events that threaten reefs, such as oil spills and coral bleaching. And by 2025, the goal is to plant one million coral fragments throughout the U.S. Virgin Islands and the Florida Keys, as well as 500,000 fragments in Caribbean nations. Just as Mote’s collaboration aims to unite scientific research around the world, an innovative project launched by the University of Miami Rosenstiel School of Marine and Atmospheric Science (RSMAS) aims to collect vast amounts of open-source data on the world’s oceans. The OceanScope program utilizes Royal Caribbean cruise ships to house oceanographic and meteorological instruments aboard ships that regularly travel through the Caribbean, providing valuable real time temperature and current data to scientists. Climate change plays an integral factor in the health of coral reefs, making this unprecedented level of research paramount to saving these valuable ecosystems. Warmer water temperatures lead to coral bleaching, which not only strips corals of vital nutrients and their vibrant colors, but also makes them more susceptible to disease. And as carbon dioxide levels in the ocean increase, the water becomes more acidic. Ocean acidification makes corals unable to absorb calcium carbonate, which they need to maintain their skeletons. By collecting a vast amount of oceanic data on climate change, scientists will gain a better understanding of how climate factors are impacting coral reefs.This is the first stage in what OceanScope envisions as a global fleet of commercial vessels carrying automated instrumentation that can act as satellites of the sea. While most of the Caribbean has witnessed the loss of more than 60 percent of its living coral, the island of Bonaire, consistently ranked as one of the best scuba diving destinations in the world, has experience half that loss in the past three decades. For scientists, the larger question is why? What is the secret of Bonaire’s thriving reefs, and how can those conditions be replicated throughout the Caribbean? Some of the answers are site-specific: Bonaire is coraline, meaning that there is little dirt to runoff into the ocean and kill the surrounding coral. Bonaire has also managed to avoid most of the hurricanes and tropical storms that have hit the region in the past 100 years, which has kept its coral reef structure intact. More surprising is how tourism may have helped preserve the reefs surrounding Bonaire. Renowned for its excellent dive sites, Bonaire has long attracted divers to its more than 80 diveable reefs, where the clear water and amazing variety of colorful fish make it an underwater oasis. Diving provides a great source of tourism for Bonaire― and the biggest source of income on the island. As such, the local government has placed heavy restrictions on fishing in the island’s surrounding waters, so as not to deplete the fish population. The result? Bonaire’s coral reef ecosystem has suffered significantly less depletion than that of surrounding Caribbean islands. While there’s a delicate balance to fishing laws—given that fish make up such a big part of Caribbean cuisine—placing sensible restrictions on fishing may be a great first step for the region at large. In addition to supporting destinations like Bonaire, tourists also can take more active roles in protecting the reefs by participating in clean up dives throughout the region. Organizations such as Dive Friends Bonaire regularly organize dives to remove trash, plastic bags, lead weights and other debris from the reefs, and Dive.In provides step-by-step advice for organizing your own underwater clean up dive. Environmentally conscious travelers can support coral reef health and restoration by getting involved with conservation efforts in the region. Royal Caribbean supports ocean health through its Save The Waves program, which funds programs such as OceanScope. By caribbeanclimate in News on January 27, 2017 .